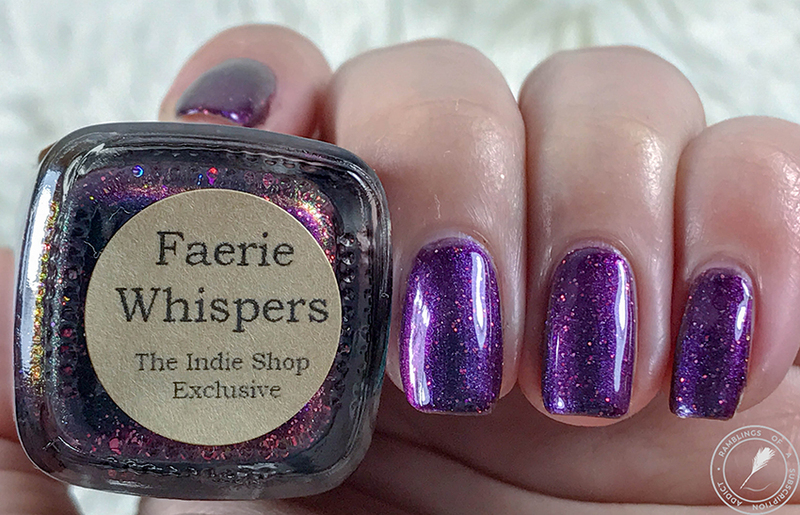 Remember how I went to The Indie Shop in Atlanta this past Spring? 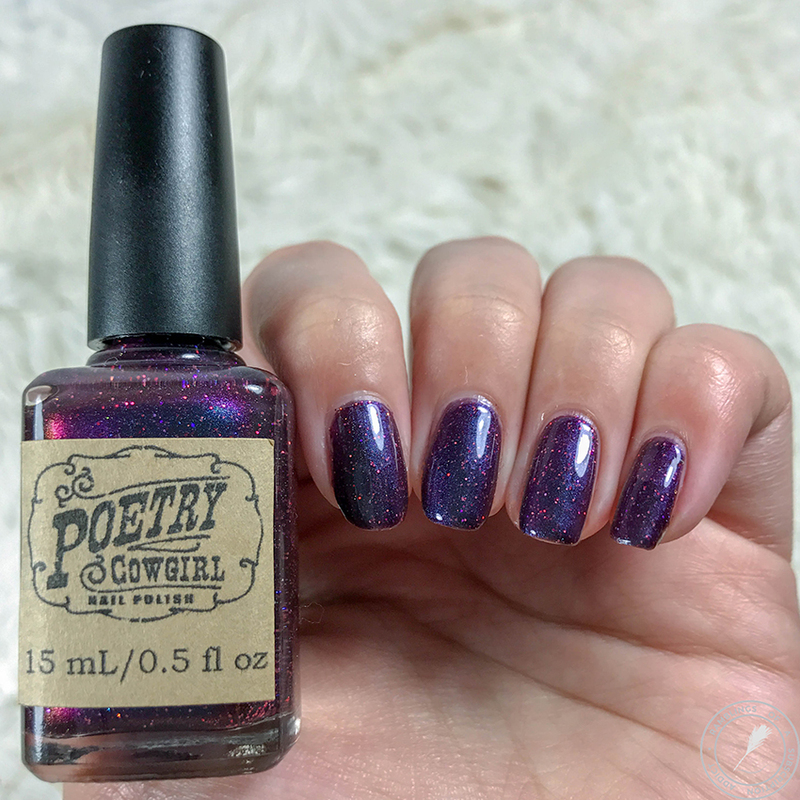 Well, that tells you when I bought this polish. Yeah, I know, I'm so far behind. 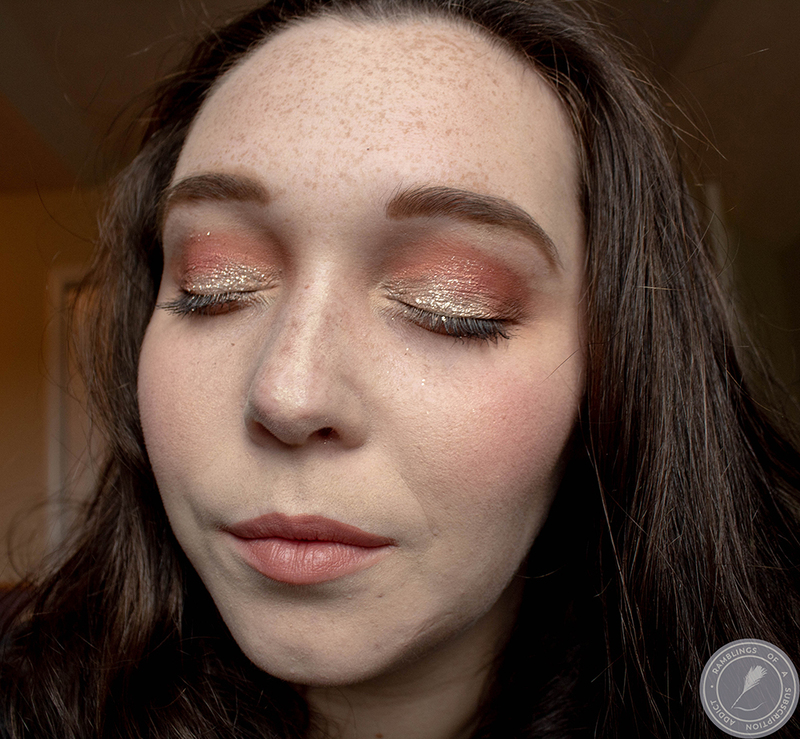 I'm working on getting my way through swatches as fast as I can, promise! 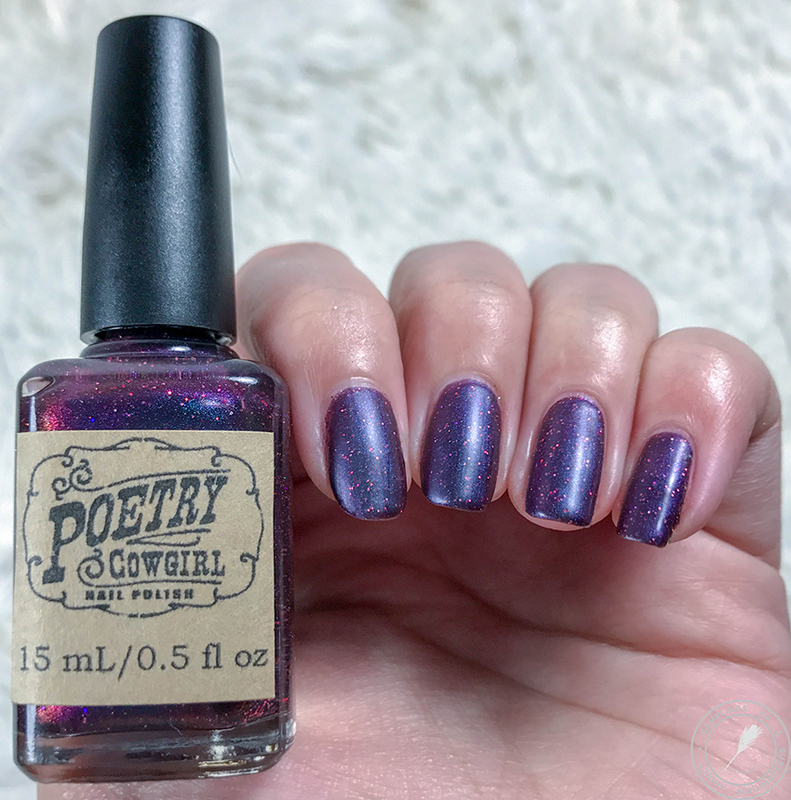 I grabbed a few different polishes from Poetry Cowgirl and here is one of them! Indie Shop for Spring has been announced and it's back in Atlanta. I'm hoping to go, so let me know if you'll be there too! 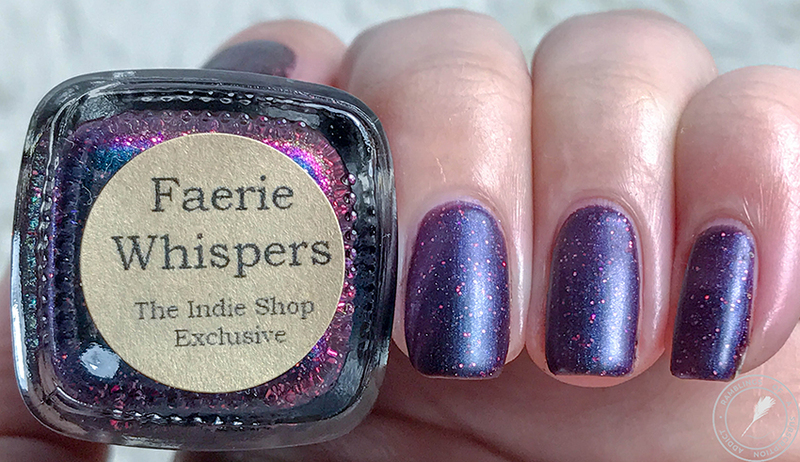 Faerie Whispers is a deep multichome shifting from blue to green to purple to red with bright pink holo glitters and silver holo micro glitters. 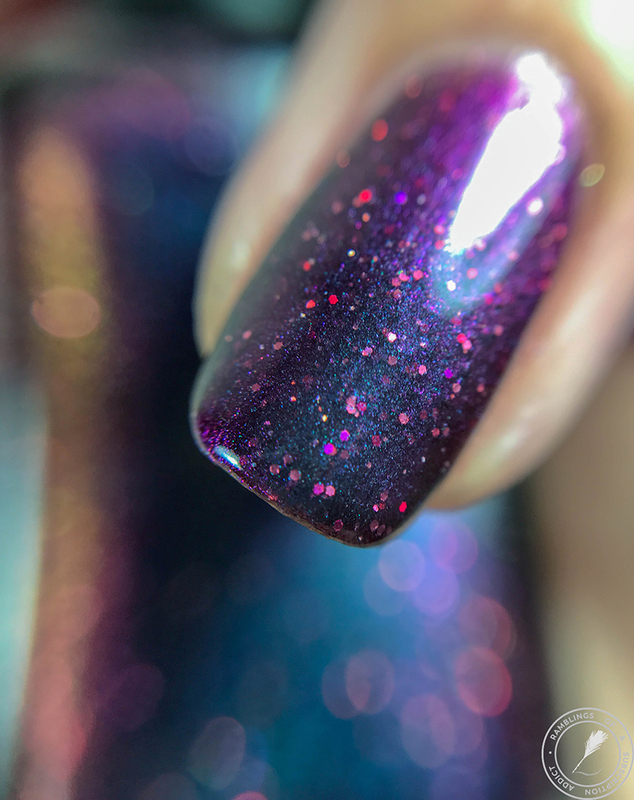 Truth time, I almost didn't get this polish. 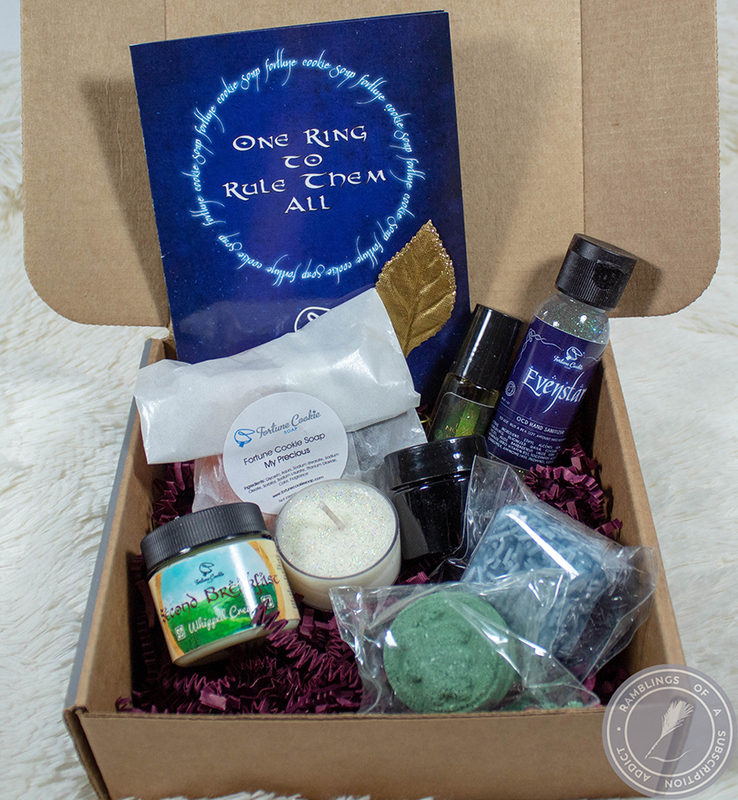 I was super overwhelmed when I got to TIS (anxiety, it's a thing) so I grabbed a few polishes and didn't even remember to grab this one until the lovely maker reminded me that there was an event exclusive to get. 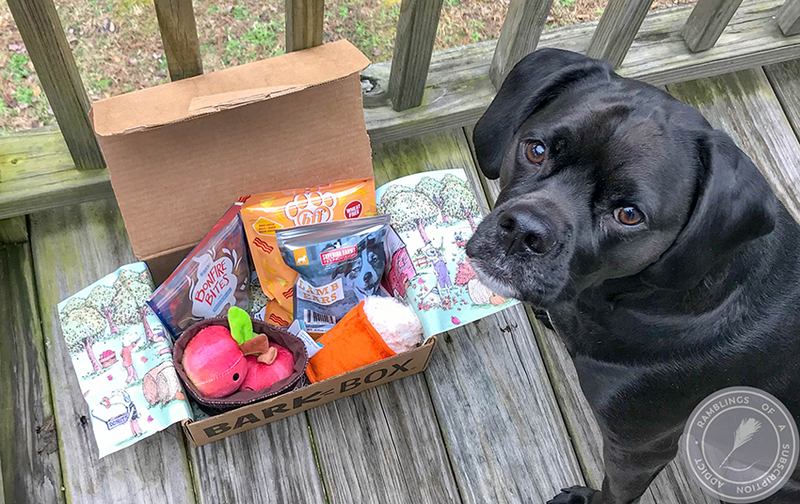 Bless her, otherwise, I would have missed out! 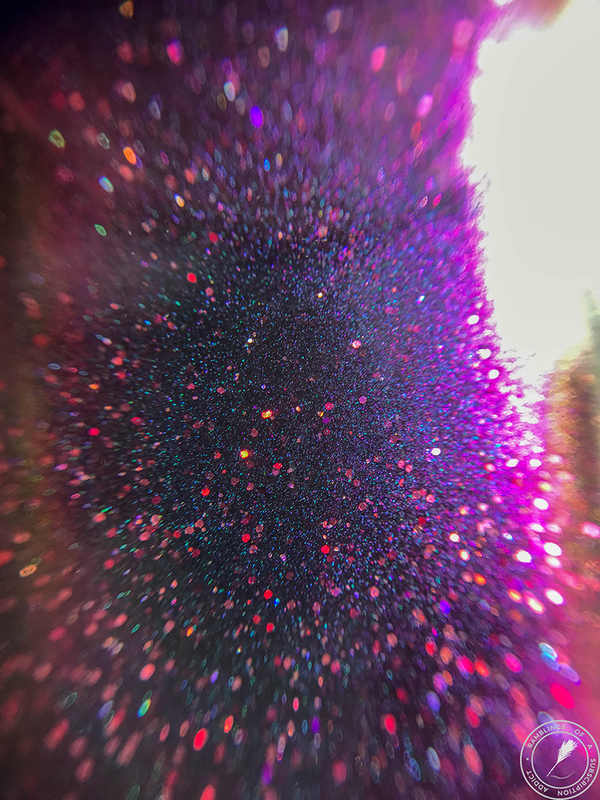 I love how this looks like a purple polish at first when you are looking straight on and then BAM, shift! Case and point, evidence piece #5. (Maybe I've been watching too much crime tv the last twenty years of my life, whoops). It's purple and then where the light isn't as strong, the red is popping. 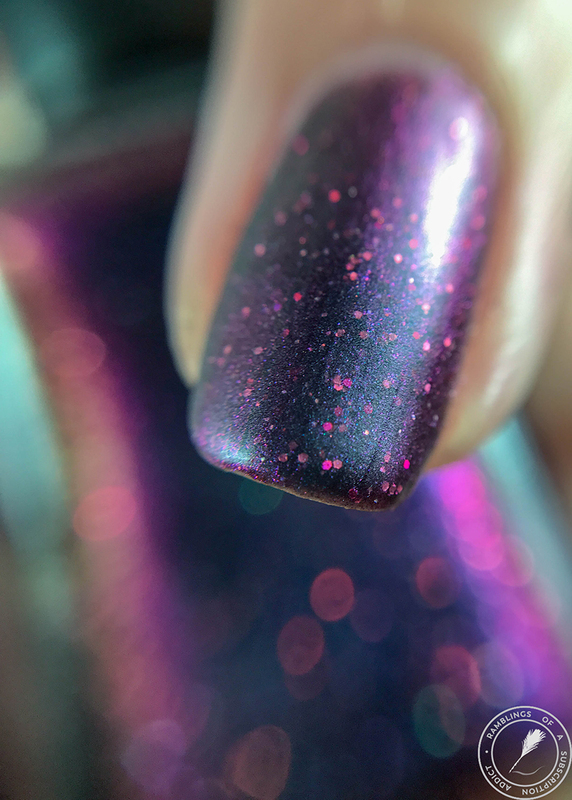 With a matte top coat, the pink glitters really show through better as well as the slight bit of brush strokes that did occur with this polish. 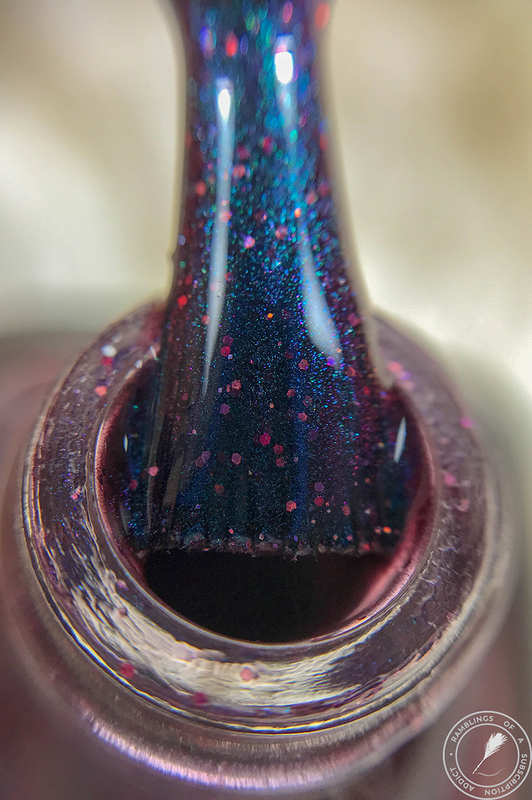 I think this polish definitely needs the glossy top coat! Texture: Slight texture, smoothed with a top coat.